Welcome to our brand new luxury apartment situated in the cathedral city of Dunblane. This 2 bedroom contemporary and bright garden level apartment contains one king size double room and one twin room. Accessed from the lounge is a small private west facing garden with a covered terrace. Dunblane is a fantastic location for enthusiasts of golf, history, walking, climbing and cycling. Many famous attractions are within 15 minutes drive including Gleneagles Hotel and its 3 fantastic golf courses, the Wallace Monument, Stirling Castle and an entry point to the Loch Lomond & Trossachs National Park. For foodies some of Scotland's most famous restaurants can be found close by including Chez Roux at Cromlix House and Andrew Fairlie at Gleneagles Hotel. 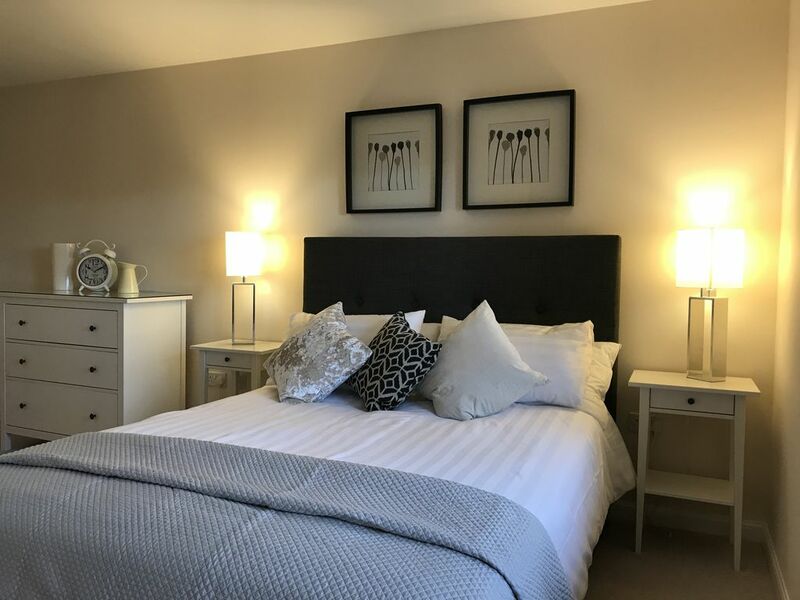 Our apartment is within a 10 minute walk of Dunblane Cathedral, Andy Murray's gold post box, mainline train station with direct links to Edinburgh, Glasgow, Perth and Aberdeen, supermarkets, cafes, restaurants and bars. Jo, Your apartment was spotlessly clean, and really well equipped. The home made short bread and tablet was very much enjoyed by my Father in law who dined with us! It was lovely to have dishwasher tablets, washing up liquid and soap in the bathrooms! so many rentals do not provide what I would describe as essentials. Thank you for taking the time to review Carole! I am delighted you had everything needed. It was lovely to meet you and the girls & I think I like your father in law very much! You would be very welcome anytime. Lovely appartment, everything you could want. Lovely interior and 15 minutes walk from the centre of town.